Is Your Sewer Line Broken or Cracked? 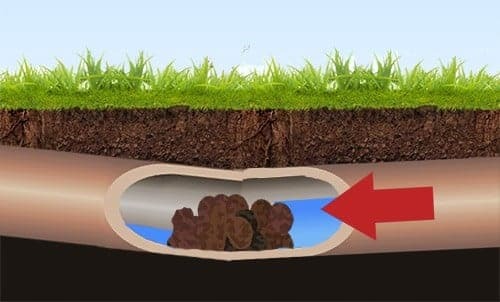 If you are having problems with your sewer line system, you have frequent sewer clogs or a foul odor from your plumbing you probably need sewer repair services but there could be any number of things wrong with your sewer line. Sewer pipe damage from shifts in soil, construction or environmental factors. A pipe belly, which is when a portion of pipe bends downward. A pipe sag, which is similar to a pipe belly. Invasive tree roots. Tree roots breaking the sewer pipe to get to the water is very common in NJ. Pipe Corrosion. Sewer pipes may deteriorate over time, depending on what they are made of and how old they are. Pipe shifting. Portions of the pipe may shift due to environmental factors. Cracked sewer pipes. Sewer pipes can crack for many reasons, usually its from heat and cold or tree roots. Sewer pipe collapse. A sewer collapse is usually a pretty extreme case where the sewer line repair was not done when needed. If you suspect you have a broken sewer line, call a professional sewer repair company to perform a sewer camera inspection. A company specializing in sewer repair will first run a small sewer camera down your entire sewer line and assess the condition of your sewer line and identify any broken or cracked pipes, tree roots to be removed or sewer bellies or sewer clogs. Once you know what the exact sewer problem is you can craft an affordable sewer solution and complete your sewer repair quickly and painlessly, without any guesswork. Suspect that your sewer line could be cracked or collapsed? Call us at 201-645-0888 to talk to an expert sewer repair technician about your property.